Art. 300/G - cm. H 77,5 - L 57 - P 54. 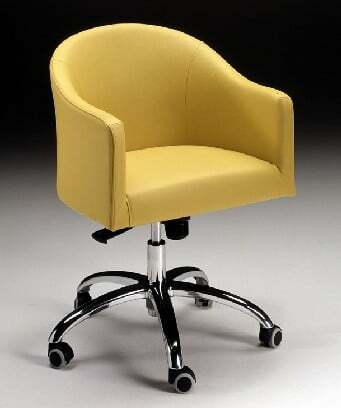 Turning armchair with printed foam polyurethane frame, leather covering, adjustable height, possible swinning movement.